Microsoft is offering academic researchers in the U.S. a chance to get their hands on its HoloLens augmented reality headgear later this year with a new program that will award funding and hardware to a handful of projects that will put the new gear to use. The company put out a request for proposals Monday seeking projects that will help "to better understand the role and possible applications for holographic computing in society." 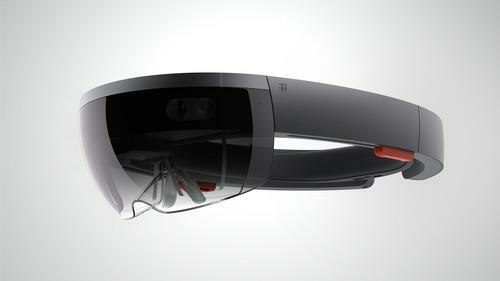 Microsoft will pick "approximately five" proposals and give the researchers behind them a grant of up to $100,000 and two HoloLens development kits. In particular, Microsoft said it's interested in seeing its technology used for things like data visualization, new forms of collaboration, interactive art and new teaching tools. Microsoft expects its funding will serve as a seed for a larger project. Researchers are encouraged to show a plan for acquiring additional funding from other sources to push the project forward. It's only available to researchers in the U.S. who work at an institution that is either an accredited, non-profit, degree-granting university or a non-profit research institution. Researchers must demonstrate in their proposal that their institution is capable of pulling off the proposed project. Furthermore, they must allow Microsoft to make their proposal publicly available in the event they are selected for an award under the program. In addition, Microsoft said that it's "especially welcoming" of proposals that come from teams working across disciplines. Submissions close on September 5, and then a Microsoft internal review board will choose the ones it wants to fund. The awards will be announced on October 6. Working with academia isn't new for the HoloLens team, which has been collaborating with a group at Case Western Reserve University to develop new holographic teaching tools for medical students. Case Western Professor Mark Griswold demonstrated the tools at Microsoft's Build developer conference in late April, showing how a student can get a detailed look at a model of the human body using the HoloLens. This is another program from Microsoft designed to develop expanded uses for its as-yet-unreleased augmented reality system. The company recently announced that it was working with NASA to send HoloLens units up to the International Space Station as part of a pilot program to test a system that would instruct astronauts in complex tasks aboard the station as well.